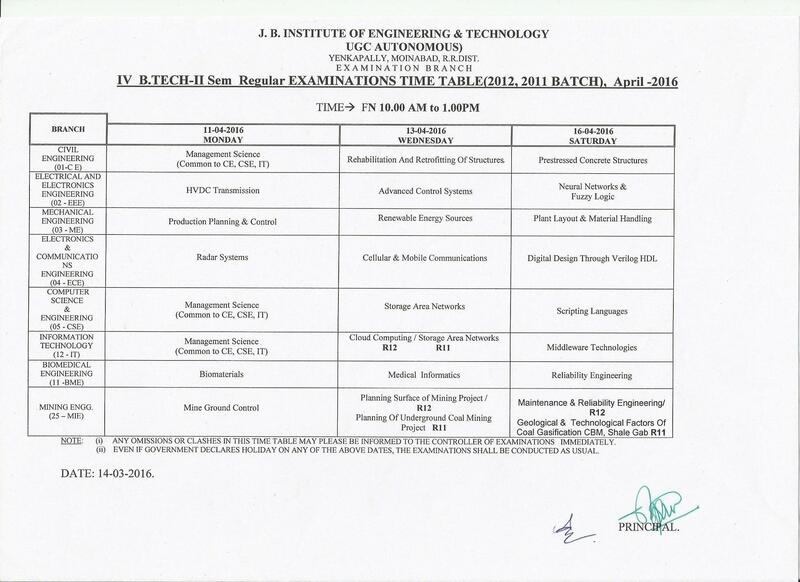 Time Tables of BTech II Semester Regular /Supplementary End Examinations-April-2018. 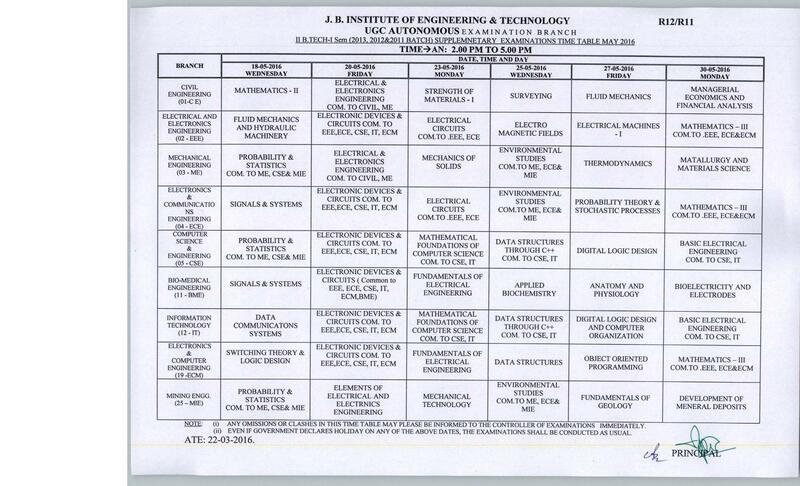 Time Tables of II, III, IV B.Tech II Mid Examination-April-2018. 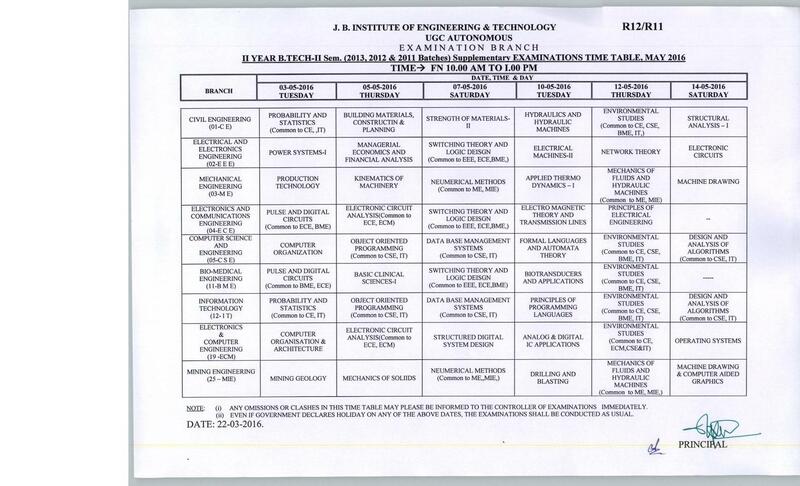 I,II,III, IV BTech II Semester All Branches I Mid Times Tables-Reg. 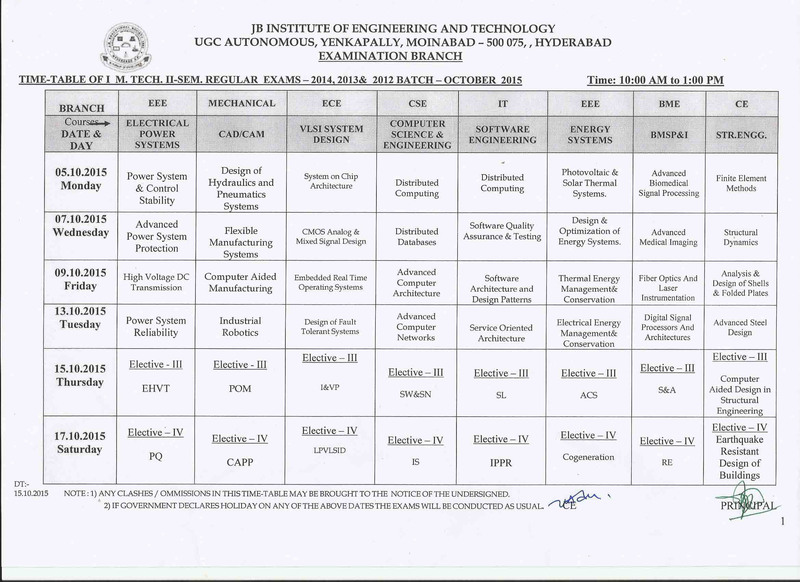 All B.Tech all semester Regular & Supplementary Examinations Time Tables - November, 2017-Reg. 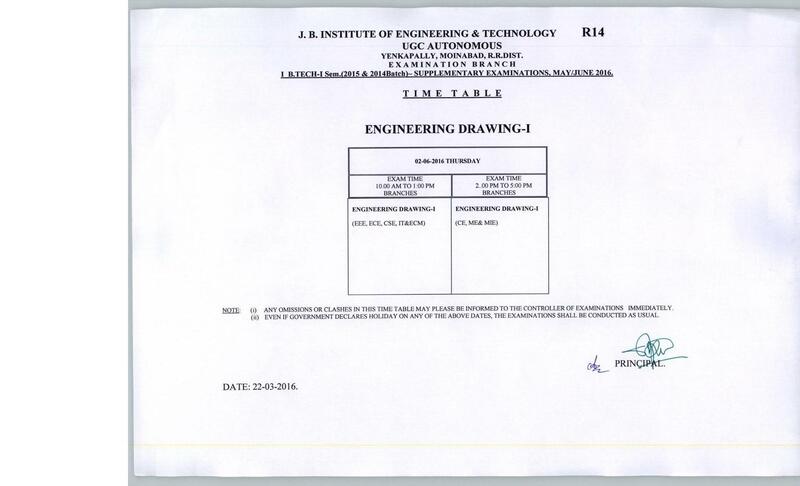 II, III & IV Year B.Tech II MID examinations Time Tables - Nov, 2017 - November, 2017-Reg. 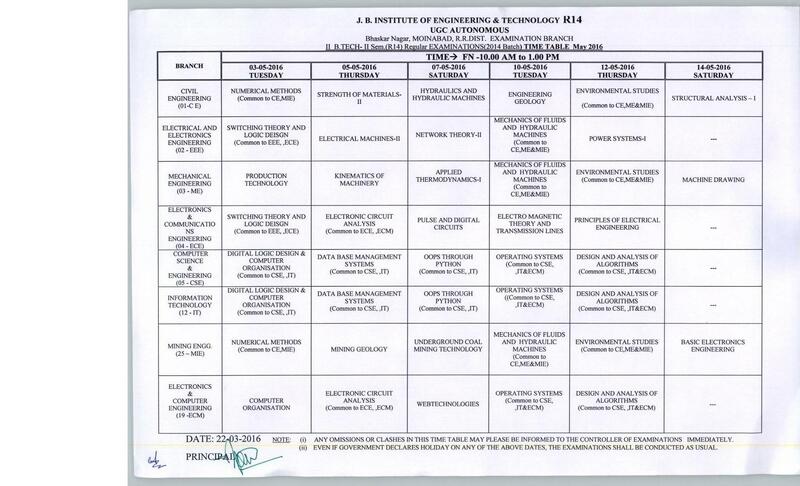 I B.Tech-II Sem R16 Adv. 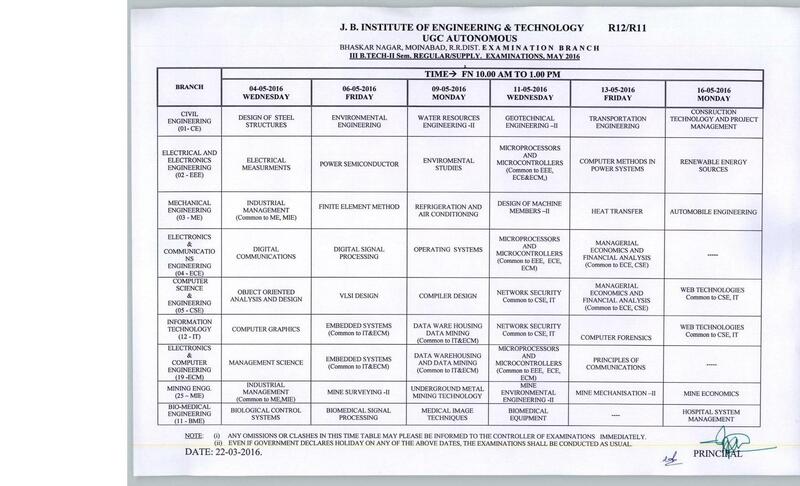 Supply Aug.2017 Time Table and Notification-Reg. 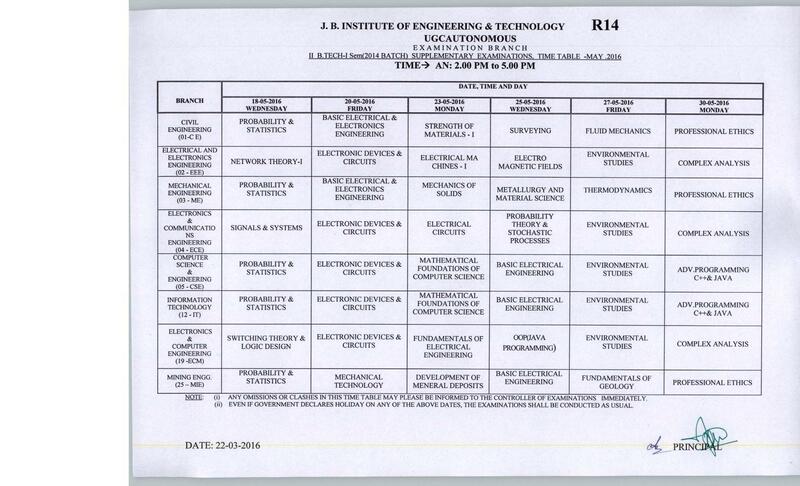 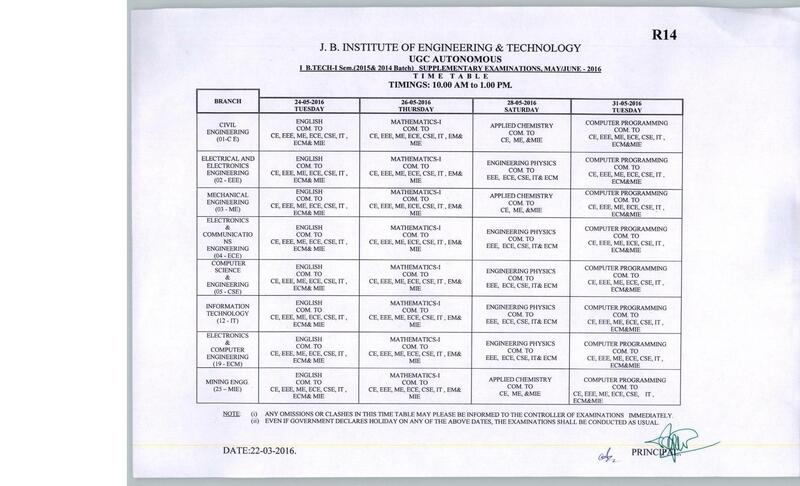 IV B.Tech-II Sem. 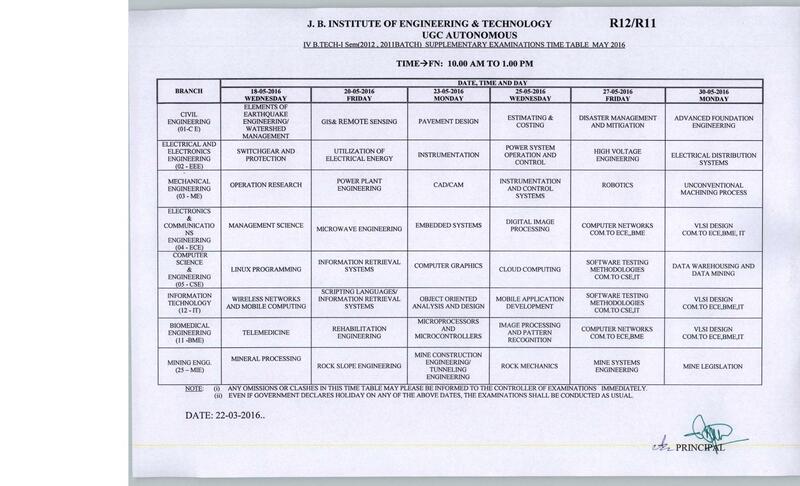 ADV.SUPPLY R12 & R11 (2013, 2012 and 2011 Batches) EXAMINATIONS JUNE - 2017 Exams Time Table and Notification-Reg. 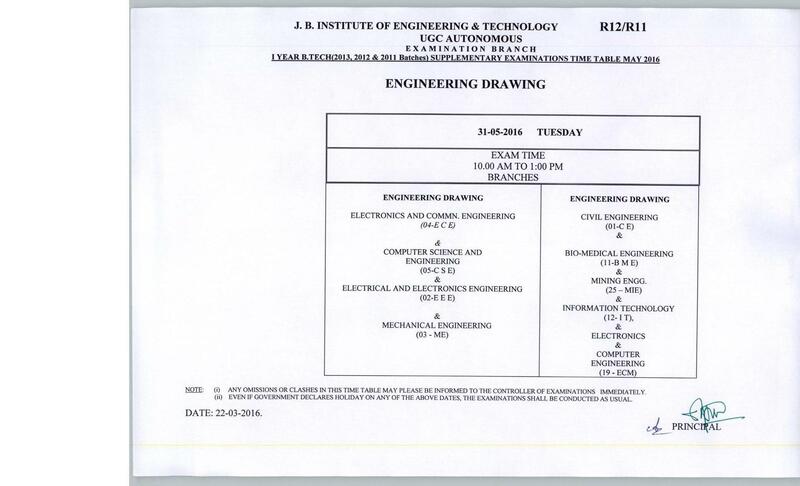 Autonomous Regular and Supplementary External Exams Time Table April-May 2017-Reg. 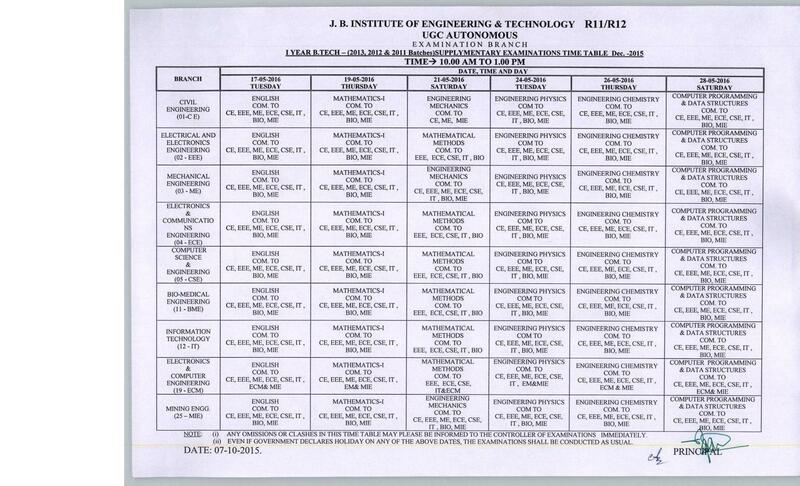 Autonomous Regular and Supply Exam Time Tables Nov Dec. 2016. 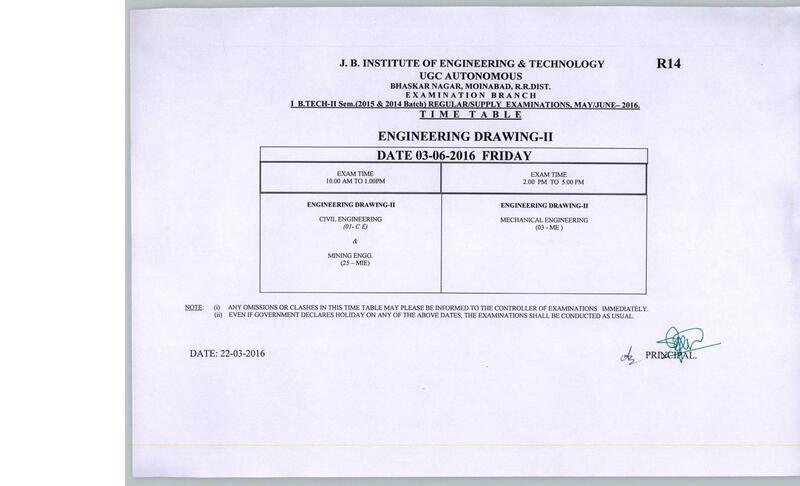 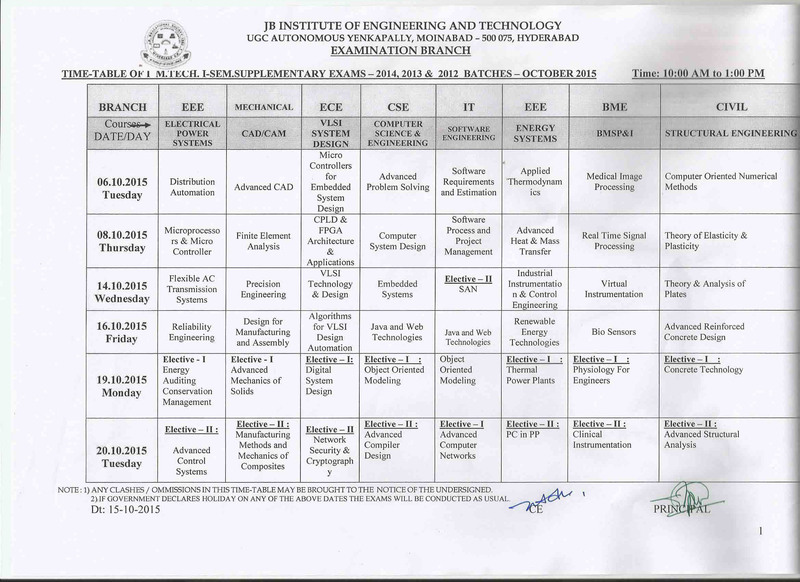 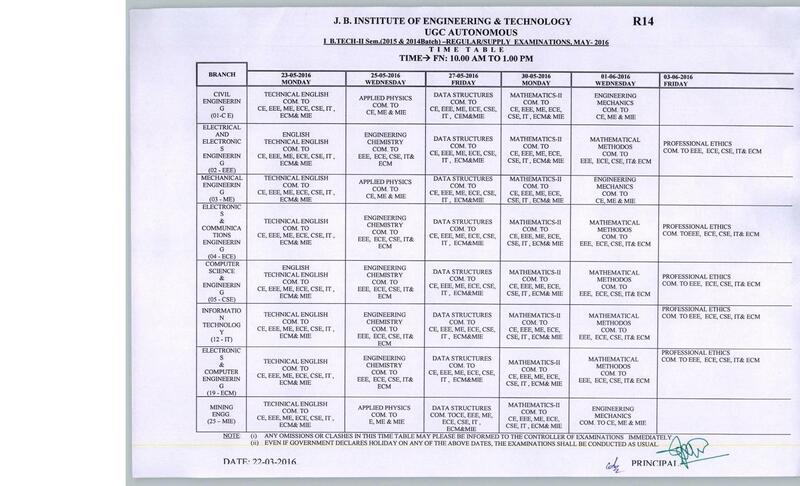 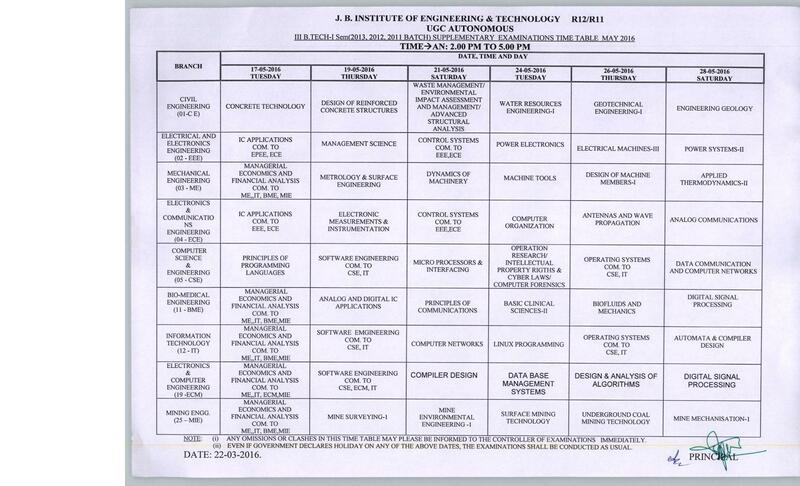 M.Tech Revised Time Tables Oct 2011.